who are ready to start taking care of their skin. This facial treatment is a great introduction to professional skin care. specialty mask that leaves your skin refreshed, hydrated, and radiant. You will realize a visible enhancement. leg massage to extend your relaxation. facial mask is applied utilizing steam for maximum effectiveness. hands and feet sealed with hot paraffin for maximum penetration. face massage. You will emerge renewed and refreshed. leaving you with a radiantly refreshed complexion and stunning glow. massage with this wonderful treatment. This is one of our favorites. not let you leave without your SPF protection. neck and scalp massage is included in this in this facial. restores the skin to the state of comfort and strength. 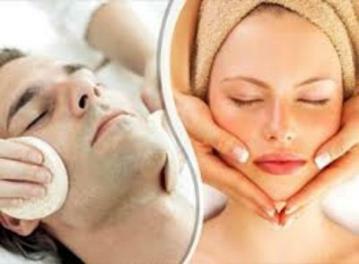 Extractions and facial massage is included. a specific home care regimen is required before receiving TCA and Jessner Services. youthful glow again. This is our version of the “fountain of youth”. advised to achieve full cumulative results. elastin in the skin and reduction of fine wrinkling, acne scars, and dark spots. skin types as well as acne and pigmentation issues.